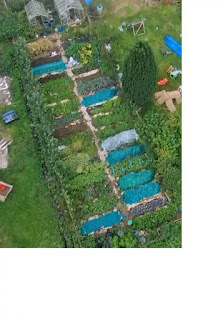 An English Homestead: The Garden from the air! 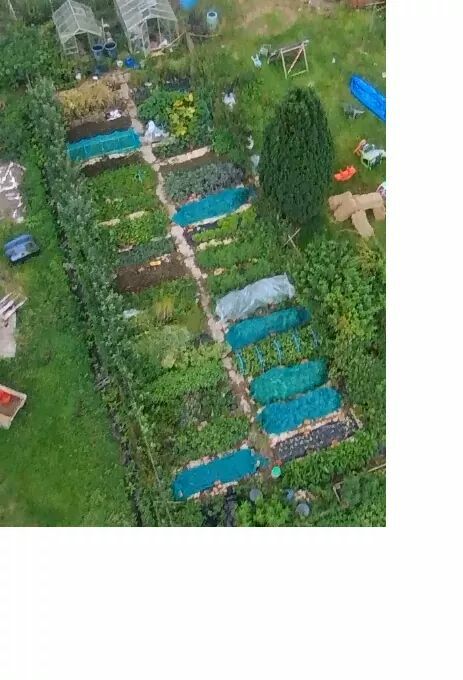 My second garden was too low in resolution from the drone picture. It does look very neat. Do you have a new toy? No, I wish- can't justify it! It's my friends he brought over his drone when we had a bbq a few weeks ago! OH WOW! That is so fun! I've got a great video of it going round the sheep as well. Might have to put it up at some point. This year I split my veg patch into four separate sections with a gravel path dividing them. I'm pleased to say that it shows-up very well on Google Earth. Dividing mine up was the best decision. Now the 52 beds are manageable, I can tackle each as an individual.